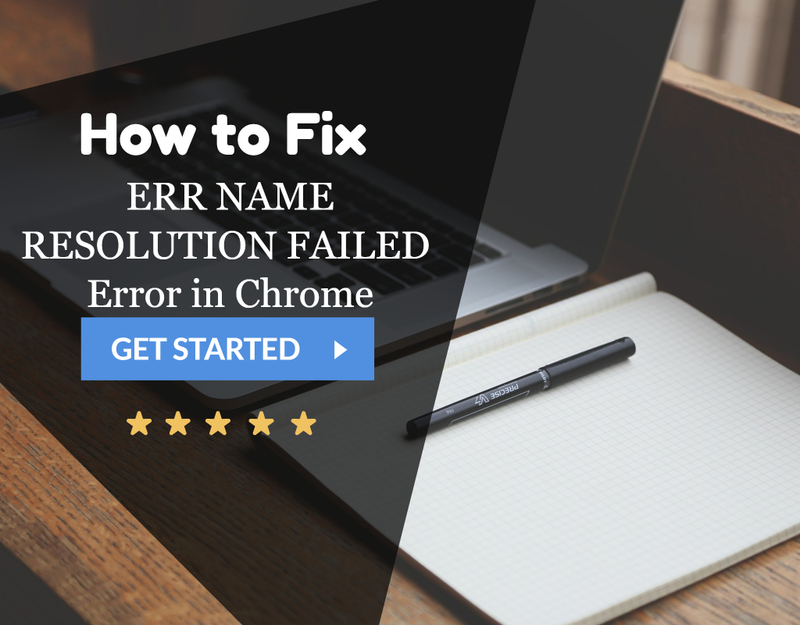 The ERR_QUIC_PROTOCOL_ERROR is an error that shows up on Google Chrome and prevents users from efficiently using the page. The error causes a statement to appear stating ‘This webpage is not available’ or that a site is “temporarily down” or has been “permanently moved to a new web address.” It indicates that the error is related to the ‘Quick UDP Internet Connections (QUIC protocol)’ feature employed by Chrome which accelerates the process of browsing as well as improves the graphics of games available online. Furthermore, this issue does not appear to occur for all websites but does occur for more commonly used ones such as Facebook, YouTube, and Gmail. The use of other third-party extensions may also be a cause of the ERR_QUIC_PROTOCOL_ERROR. Disabling such extensions is one of how this error can be tackled and the processes involved are highlighted further below. Google is undoubtedly one of the most trusted and extensively used websites on the internet. It is primarily due to its numerous features, user-friendly nature and high-performance value. It is a platform that most users frequently interact with and rely on to provide them with information that they may require. However, even the best websites experience issues, especially when implementing new features and applications to enhance the user’s experience. Bugs, issues with coding, network problems, etc. are common issues in this regard and can prevent users from transitioning smoothly from one version to the next. In this context, encountering an error such as the ERR_QUIC_PROTOCOL_ERROR is frustrating as it hampers with productivity as well as what has become a daily activity in most peoples’ lives. Some of the primary ways to fix the ERR_QUIC_PROTOCOL_ERROR are explored below. 1. 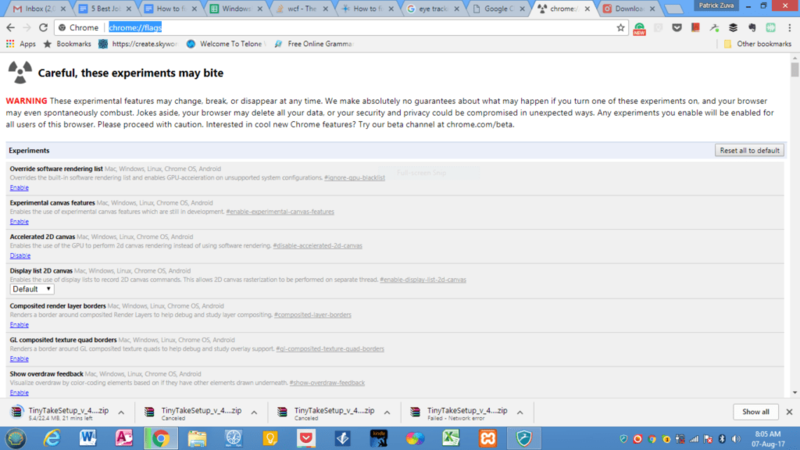 At First, go to the Chrome browser and go to a new tab. 2. Then enter the command “chrome://flags” in the Address bar. It will take you to a settings menu. 3. A message/notification will pop-up stating “Careful; these experiments may bite” which will issue a Warning message about employing such “experimental features.” However, the procedure is safe and hence this message can be ignored. 4. Afterward, locate the Experimental QUIC protocol feature either by scrolling down or by pressing the CTRL+F keys. It will make a box called the Find Box appear. 5. Then enter “Experimental QUIC protocol” in this box and type enter. 6. Once located, select Disabled from the drop-down menu and relaunch the Chrome Browser. It should cause the error to disappear. 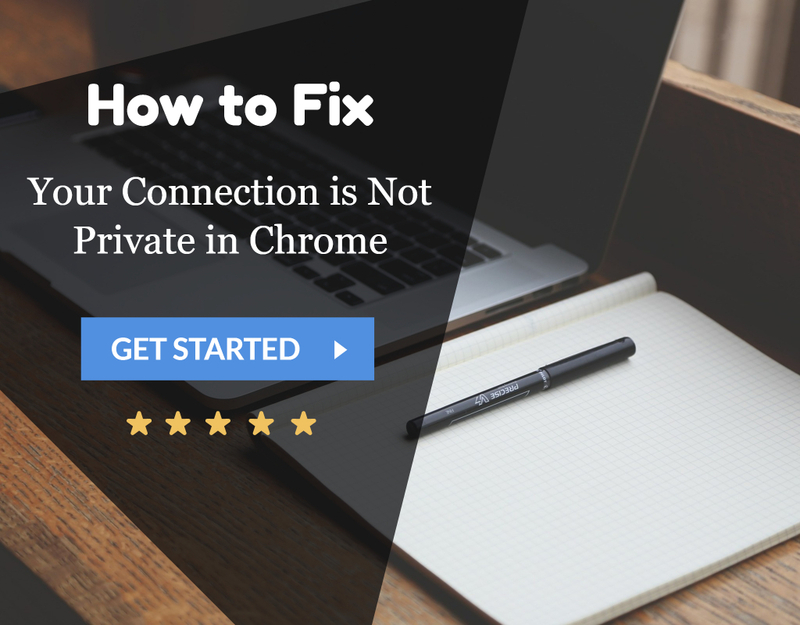 As stated earlier, numerous third-party extensions may be the cause of this issue arising and hence disabling them may resolve the issue. 3. Afterward, go through the Extensions and disable the ones that we do not require. 4. Finally, “Restart” the computer and see if the error persists. Note: If simply disabling the extensions causes no change, it is advisable to delete the third-party extensions completely. 1. At First, go to the Chrome browser and click on the three vertical dots in the top right-hand corner to obtain the “Settings” menu. 2. Then scroll down to obtain the “Advanced” option and click on it to expand it. 3. Afterward, select the “Reset” option and “Relaunch” Chrome. Note: It is advisable to save all the links and tabs before clicking the “Reset” option. As such data will permanently delete during this process. Note: You can also do this by searching for “Control Panel” in the Start or Cortana search bar on your computer. Select the option “Internet Options” or the “Network and Internet” option. 2. 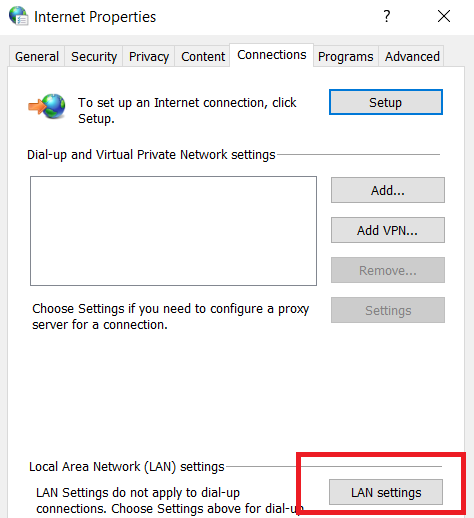 Then click on the “Connection” option and select “LAN settings.” Ensure that there is no issue with the Firewall or proxy browser. 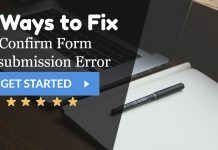 If errors are present, fix those first. 3. 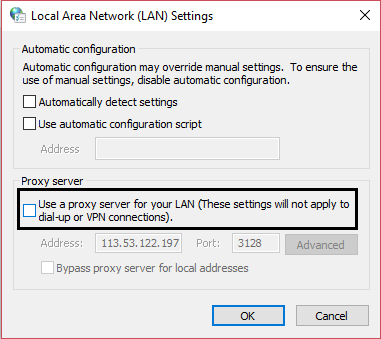 Uncheck the option “Use a Proxy Server for your LAN” and check the “Automatically detect settings” option. 4. Finally, click “Ok” and “Apply” and then “Restart” the computer. 2. Choose a short period for the disabling of the anti-virus programme. 3. Then open the Chrome browser to see if the error has resolved. 4. 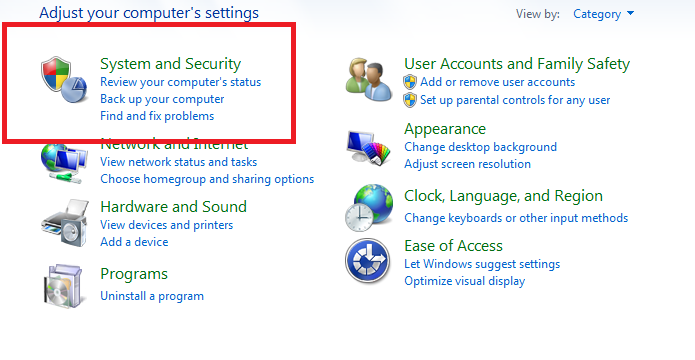 If it persists, go to the “System and Security” setting on the computer by searching for it in the Search or Cortana search bar or by pressing the Windows key + I to open the “Control Panel” and selecting it. 5. 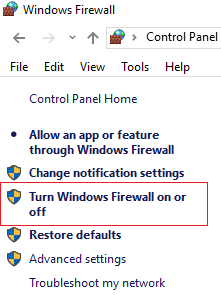 Select the “Windows Firewall” option and select the “Turn Windows on or off” option from the panel on the left. 6. Select the option that turns off the firewall and then “Restart” the computer. Note: Ensure to turn the Windows Firewall back on by following the same steps irrespective of whether the error has fixed or not. 1. Reimage Plus software is useful as it can scan and replace corrupt files and hence may be applicable in the case of system corruption. An interesting fact to note about the ERR_QUIC_PROTOCOL_ERROR error is that the cause of the error is still unknown. The error does not show up when Incognito Mode is being used and hence indicates the general area where this error is believed to arise from. Thus, we hope this article provides you with all the relevant information about the ERR_QUIC_PROTOCOL_ERROR and successfully illustrates the numerous ways in which this error may be fixed.